There I was reading Facebook and minding my own business when suddenly there it was, in its glory, a post, explaining that Rachel Barrie and her team would pick 20 (yes only 20) people that registered and send them, what will be the latest Glen Garioch release, these people could become people of legend and they will call them Glen Garioch Drambassador! So I applied, crossed my fingers and waited, in came the Facebook posts, starting with the lovely Whisky Girl (@Girl_Whisky), who informed me us that she had been emailed and told she was (one) of the “Chosen Ones”. I checked my emails, nothing, nada, zilch, zip, zero! Whisky Girl asked if I had an email, I had not, she told me to check my spam, which I did, and still nothing. I wished her well (she has a great nose, she will be amazing) and consoled myself with a dram. The next morning DHL turn up with a package for me. I wasn’t expecting anything, I opened it up and there it was…….A stunning white box, with Glen Garioch in chic writing on the front. I opened the mystery package and inside was….lots of shredded paper, but underneath it all was a jar of jam, a chocolate bar and a dram of Glen Garioch, I was somewhat confused until I revisited the shredded paper and found the scroll! You thought I was just upping my part but it really is the stuff of legend. 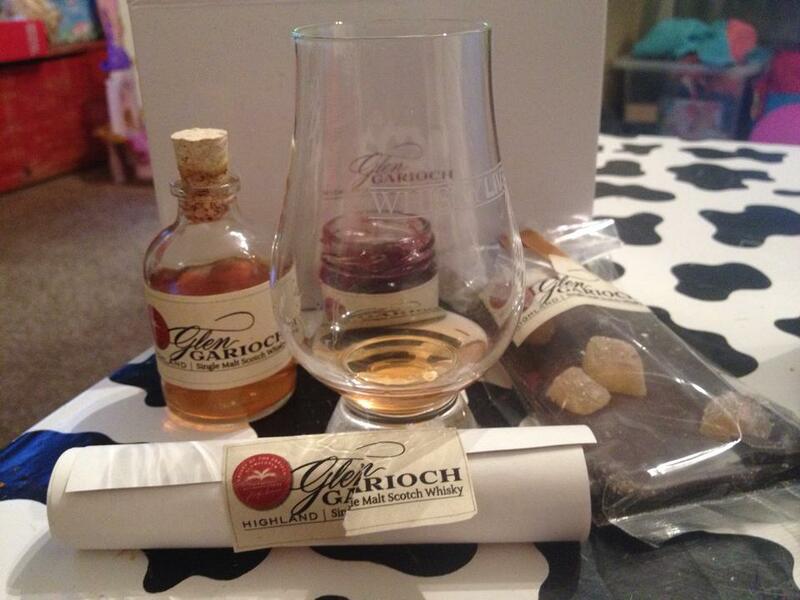 I was, am if you like, a Glen Garioch Drambassador and I could not have been more excited! I still am excited, whether picked or not, what an opportunity, so thank you very much Rachel and the Glen Garioch team! Our whisky is a perfect marriage of two regions, and you may find our whisky’s robust structure and complex flavours remind you of something else. 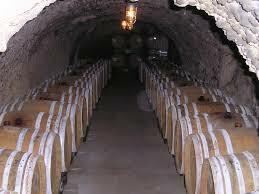 The casks were previously stored in a cave, 100km from the Atlantic Ocean. The oak shares its name with a breed of cattle. The paring items in this package may also provide you with some clues. The next clue a perfect marriage of two regions, well at first thoughts I immediately thought Scotland, maybe Highland and Islay, but then I thought further as I looked at the other clues. 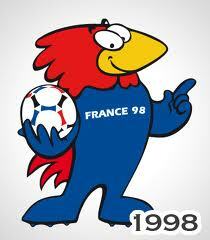 The regions (which will be explained later) I think are, the Limousin region and the Highland region. Whisky and history joining forces to bring France and Scotland together again. The place the casks were held? Well this (alongside the cattle), really helped narrow it down. Looking at the map, it looks to me that the town of Cognac could be exactly that place, plus Cognac is double distilled. Once you think France you need to look at the language, and it’s perhaps no coincidence that the “cave” is French for cellar. 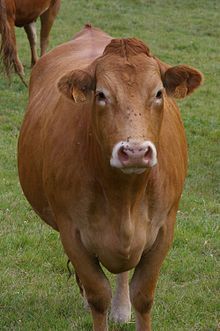 Am I a cow or a type of cask? The oak shares its name with a breed of cattle, well I’m not going to lie to you good people, despite what an ex or two may have suggested, I know very little about cows. This is where a Wiki came in very handy, I got myself a very long list of cattle and looked through it. And there it was, the sun shone, the angels played, and I had an epiphany (and very nice it was too, but moving on). Limousin, I remember seeing it in the tasting notes of a bottle of Glenlivet 15yo French Oak Reserve, I looked into it a little more, and saw the rich history of the Limousin. Limousin is essentially a rural region. Famed for some of the best beef farming in the world, herds of Limousin cattle—a distinctive chestnut red—are a common sight in the region. The region is also a major timber producing area. Due to its rural locality, it is also famed for its groves of French Oak, so prized for its distinct characters and flavours in wine fermentation that vintner Rémy Martin has exclusive rights to its oak groves. It is a partnership that is over 100 years old. The regional capital, Limoges, was once an industrial power base, world-renowned for its porcelain and still a leader and innovator in electric equipment factories (which originally used porcelain as an insulator). However, large factories are now few in number. The Jam, now this is more interesting, first thoughts were blackcurrants, then I thought plums and I went back and forth, then I decided to hit google, and I came across something called French Prunes (also known as sugar plums), these seemed to hit the nail right on the head, I still think that there may be a dash of blackcurrant it there, but I am going to go out on a limb and say that this is primarily, at least, a jam made from French Prunes. If I am right (a long shot I know) then this was a fiendishly delightful little clue. French Prunes to keep the French clue going and plums to point towards brandy. Hey at least if I am wrong, I have quite some method to my madness. Chocolate, I’m thinking vanilla, and ginger will no doubt be found within the dram, but I also think it’s to remind you of the colour. Right, well enough talk of clues, it time to finally try this dram. A beautiful golden, orange tonal whisky. Think soft copper, autumn sunset and the most beautiful tabby that you have ever seen. First thoughts? Comforting and warm, think sheets hung out to dry in the dying rays of summer. Warm cotton quickly changes into tangy sweetness, not quite honey, think more golden syrup, that condensed, rich raw sugar note. This becomes gentler, the vanilla starts to come through, soft and buttery, think condensed milk and Demerara sugar, with notes of heather and just a touch of sweet rosemary. At the very back orange starts to drift in, bringing with it soft apples and grainy, sandy, sugary pears and crisp, fresh white grapes and with it some fresh cut grass. Then in comes the spice, a little pepper, some cinnamon and definitely hot, fresh ginger. What a difference! The very first thing I picked up is moss, damp, fresh, cold moss. It starts to become something darker, the sweetness is still there, but more a dark treacle sweetness, a slight bitter edge to it. Think a little coffee, not the really bitter, freshly ground type, but more like instant coffee, not as rich or intense, but still present. The buttery notes have left and for fruits think dates and fresh figs with stronger, spicier cloves, blood orange and a little chilli. So smooth and rich, think the softest of suede handbags. This is a dram that you can almost eat! Think rich sticky toffee, think the “penny” Quality Street, that’s been warmed in your pocket all day. As the toffee takes over the palate and then starts to gently ebb away in come some lovely buttery notes, some gentle rolled oats baked in a flapjack with a touch of golden syrup. A smooth good quality milk chocolate just fleetingly kisses the palate. Still some pear to be found and the smallest touch of soft fruity blackberries. The oak has just the right influence, and it brings a mellow sweetness with it, and just the slightest touch of the CDT (woodwork for slightly older schooled) room in summer. There is a lovely warmth and combined with its mellow, gentle flavours, it is reminiscent of a Cognac. As it starts to fade away, the tannins really come into their own, think builders brew and soft leather, with just a hint of ginger and some white pepper from the nose. This is like a different dram! It’s become so much hotter, fierier, and almost angrier. Goodbye soft smooth sweetness and hello spice! Ginger marches in, elbowing the buttery vanilla out of the way. Green and black peppercorns make themselves known, along with a massive chilli tingle. Now comes fennel and fern with just a touch of vegetation, think burning leaves in autumn. Still a very rich, mouth coating dram, but there is far more oil on the palate this time round for me. Long, this really coats your whole mouth. You can really use all your sense, you can see this, feel this, touch it, chew it, and it’s tangible. Rich and smooth, creamy and drying. The tannins carry this on and on. What a dram. I want to drink this (responsibly of course), but frequently and with friends. I think that this is a 1998 vintage, so 15 coming up 16 years old, (depending on when this is released). I think that this has been slumbering in a former Cognac French Oak Cask and as it said on the bottle 48% ABV. Would you know it was a Glen Garioch? In my opinion, yes. 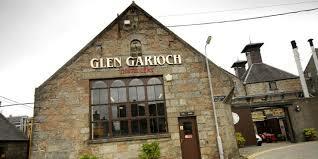 It has that lovely spicy, rich feel, which is so typical, of Glen Garioch. Drank straight away is a lovely, gentle, soothing whisky. Gentle fruits, soft sugar, delicate spice and the perfect pairing of fresh oak, kept in check with orange blossom, rich tannins, and buttery softness. Left to brood for a while and it’s a new beast, it’s no longer gentle nor does it want to be, it’s all about rich, fiery spices, some vegetation, hot oranges, rich figs and hot pepper, wrapped up in a leather satchel. Please put me on the list as soon as this is released. So there you have it guys, my thoughts, not sure where they sit and I can’t wait to find out, but I’ve really enjoyed this experience and good luck to all my fellow #GGDrambassador out there, I hope you’ve had lots of fun too.